Legendary Pete Escovedo Joins IP! One of the most influential percussionists in music, Pete’s career spans more than 50 years of collaboration with artists such as Santana, Tito Puente, Herbie Hancock, Mongo Sanataria, Bobby McFerrin, Woody Herman, Stephen Stills, Billy Cobham, George Duke, Boz Scaggs, Al Jarreau, Chick Corea …. and the list goes on. He’s performed twice for president Obama and the White House, recorded 7 albums as a leader and received numerous awards over his prestigious career. 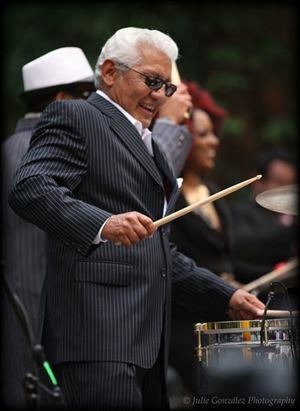 We’re extremely proud to welcome Pete “Pops” Escovedo to our artist family!